The latest shortwave broadcast schedules with listings by time, country and frequency plus a DX program guide. Search for station listings by HF Frequency. Results show who is scheduled when on the frequency in question. SW receiver review's including the JRC NRD-545,WJ-8711A,AOR AR7030. Also ham transceiver reviews - misc. An introduction to portable shortwave receivers and sw radio. What to look for in a good portable. Reviews of Sangean ATS505. Band info and frequecies. For good Short Wave reception long aerial really is required to dig those distant stations out of the ether. 4X43141 SWL Info - In this site SWL can find many thing he needs: Contest rules and results, software, awards info and photos, forums, chat and more. AMANDX - AMANDX is a site dedicated to the new listener. There are articles on antennas receivers etc. Antenna Tuning Units for better reception - For good Short Wave reception long aerial really is required to dig those distant stations out of the ether. 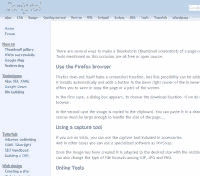 Cobalt pet: shortwave weblog - Cobalt Pet is a weblog focusing on shortwave radio. It features shortwave reception reports, product reviews, photos, listening tips, and links. International broadcasters and amateur / ham radio operators are monitored and discussed. Cumbre DX - Free internet only Shortwave Broadcast DX newsletter. Dave's Radio Receiver Page - SW receiver review's including the JRC NRD-545,WJ-8711A,AOR AR7030. Also ham transceiver reviews - misc. DX Activities of ONL5183 - Whith more than 20 years of ham practicen SWL Thierry LOMBRY, alias ONL5183, has written several technical pages about ham activities, including propagation, radio perturbations, radioastronomy, DXing, QSLing, ham-spirit, review of material and more. This very interesting website is completed by a large French section devoted to amateur astronomy illustrated with vivid colors pictures. 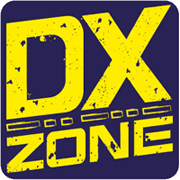 DX Radio - FM dx logs, MW carrier offset monitoring, lists of RDS codes in use in the UK, London pirate bandscan and much more from a London QTH. Freeze! DXing Arctic Style - AM DXing taken to the extreme. Reports and station logs from DXpeditions to Arctic Northern Finland. Also articles, QSL news, links, audio and video on AM DXing. Published by Finnish DXer Mika Mikelainen. KB0EPY Shortwave Log - Personal SWL log with various information from SWL tips and tricks to Frequecy Logs to general SWL information. Prime Time Shortwave - The latest shortwave broadcast schedules with listings by time, country and frequency plus a DX program guide. Printable Log sheet for SWL - A free to download and print, paper log sheet for shortwave listerners in PDF format. Search SW Stations by Frequency - Search for station listings by HF Frequency. Results show who is scheduled when on the frequency in question. shortWWWave - News, frequency guides and programme information, on shortwave and other international media. SWL Call Search - Search-Find-View-Download SWL/Ham Call Signs world-wide. Create-Send-Receive eQSL cards on-line - free, including bureau. Much more, ALL especially for the discriminating SWL. SWLing.com - Your beginner's guide to shortwave radio, include an up to date blog and news about products and events. The AM Forum - A site dedicated for the AM Radio Amateur and vintage radio. Home of the AM Press/Exchange, The AM Forum (the largest BBS of it's kind),and The AM Classifieds, Photos, Audio, and technical information. Audio and Video chat rooms. Search only in "SWL Resources"